What is the Georgia RICO Law? RICO stands for Racketeer Influenced and Corrupt Organizations. Under the Georgia RICO law, it is a crime for any person through a pattern of racketeering activity to acquire or maintain any interest in or control of any type of property or business. Predicate crimes that fall under this Act (and may be used to show a “pattern” of unlawful conduct) include the following: drug offenses, homicide, bodily injury, arson, burglary, forgery, theft, robbery, prostitution and pandering, distributing obscene materials, bribery, influencing witnesses, tampering with witnesses or victims, intimidation of a juror or court officer, perjury, tampering with evidence, commercial gambling, certain firearm offenses, illegally reproducing copyrighted material, various securities violations, certain credit card crimes, certain crimes involving titles, destroying or misrepresenting identification numbers, possessing automobile parts with missing identification features, various computer crimes, kidnapping, false imprisonment, terroristic threats, motor vehicle and aircraft hijacking, insurance fraud, usurious payday loans, deceptive commercial e-mail, and residential mortgage fraud. A conviction under Georgia’s RICO statute will result in a 5- to 20-year sentence, a fine, or both. A judge may fine a defendant up to three times the amount of any money obtained by the defendant during the scheme. Georgia also possesses the power to impose civil remedies. A judge may order a defendant to give up any business interest or property gained through a RICO violation. Defendants may also have other restrictions levied upon them, such as a prohibition from engaging in the same type of endeavor as the unlawful business. Injured parties may file suit against defendants for three times the actual damages sustained, and may seek punitive damages when appropriate. A prosecution under the Georgia RICO statute can be complex. 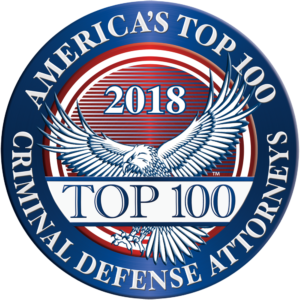 If you have been charged or are being investigated for a RICO violation, you need an experienced criminal defense attorney who will defend your legal rights. Our firm has successfully represented clients charged under the Georgia RICO statute in the past and we may be able to help. The information provided above is a very general summary of Georgia’s RICO law at the time this text was prepared. Because this analysis is subject to change depending upon recent cases and legal developments, you should not rely on this summary as legal advice. As with any important legal question, you should always consult a lawyer licensed to practice in your jurisdiction. Our lawyers are licensed to practice in all state and federal courts in Georgia.